Tone 4 holds the Intention of Stability. Like the cube, the most stable of forms, 4 creates dimension, boundaries, and parameters. Tone 4 offers an orientation and “rules of the game.” Tone 4 establishes our solid ground for Spiritual Discernment. Wisdom/CIB is the Day Sign of the Old Ones, the Wise ones who preserved a Divine Path to follow. They made the same climb, reaching for their Highest Aspirations. Our collective experiences are recorded eternally in the One Divine Mind. Wisdom/CIB connects us to this Wisdom, and a Personal Relationship with our Guidance Up Above, All Around, and Down Below. This is a day to Honor the Ancestors and heed their advice. Everything they teach us will be for our own Good along the journey to our Dream. This is a day to Pray for Wise Counsel and those who have shared their Wise Discernment with us. Eagle/MEN carried us far into the darkness of our Future. Darkness is the place where the Owl can see the best. Owl can turn our head around to find Wisdom within our Self. Owl helps us to Discern what Human has never seen, to look for. We have to establish our own Truth and Way. CIB’s way Honors all the Wisdom of Humanity. When the student is ready to Receive, the Teacher Appears. The glyph illustrates the Mind in its state of Highest Consciousness. Emanating from the head are the rays of Illumination and Forgiveness. The Ancestors will show us how one depends on the other. They offer the “Keys to the Kingdom” of Spirit. God D Itzamna [it͡samˈna]) is known as the Creator God in the sky. Itzamna was recognized as the God who brought the Gift of Wisdom to Earth. We could turn to Itzamna as the Father of Human Consciousness and Understanding. Through Ixchel, the Goddess of Gestation and Light of the Moon, Humanity was Born with the Power of Discernment. The Cherokee Day Sign, the Owl, is regarded as the “mystic ferryman, holding a torch aloft” for the passageway to the stars. Owl was considered a “sign” of an imminent life transition. Owl is a nahaul of Wisdom, that offers its eyes to see in the dark. CIB resides in the South, the direction of our Relationships with one another and the Natural World. When we’re standing in the South, the answer to Right Relationship is right in front of us. The Answer lies in the North, where the Innocence and Divine Wisdom of all things is stored. Innocence, Forgiveness, and Wisdom all go together for a Divine Illumination. We can’t see anything clearly without Forgiveness. The Power of our Spiritual Gifts demand Wisdom for using them to Discern the Truth. The Elders often spoke of the Importance of Spiritual Discernment. Reed/BEN has warned to lead with a “garden hose” and not a “steel pipe.” We weren’t to demand that everything be carried out our own way. Making a Wise Discernment must take both sides fairly into account. We must also discern that the Voices and Inspiration we hear comes from the most Divine Source. The first and most important thing we can do when we Kneel at the Altar is to Call on a Divine Authority. Whether it be “Our Father,” the “Great Spirit,” or “Itzamna,” we establish Right Relationships by Name. (The Elders always say a very important part of Honoring Ancestors, and anyone else, is to pronounce the name correctly when you use it.) The old words, the way they sounded, and all the memories that include the experience is the Memory of Someone to be Honored. By Name we define a boundary. Choosing the Name we associate with Divinity, we call on the Highest Intentions for all. We were also taught to respect the Spiritual Boundaries of others. The Elders taught it was never worthy to engage in Spiritual Healing or a direct transmission of energies without knowledge and consent. It doesn’t mean we can’t pray for one another. To Honor the Free Will of Choice, we can ask our own Angels and Guardians to share our Love with their Angels and Guardians. We are to Respect the use of the Gifts we are given, and Honor the same Gifts in each other. We should always have the Choice and Right to heal our Self. In every Choice, we need to reflect on our whole Meaning and Purpose. What’s our Reason? We have to look for the Wisdom of our own experience, and take account the Wisdom of Wise Counsel. If we look, we’ll Know if we’re making a Wise Choice. If we don’t Know for Sure, we don’t Know. Silence is golden. We must Forgive our own experience of Suffering, instead of casting it away or pushing it down. Suffering is the Fire of Transmutation in our Spirit. Jen, our K’iche Daykeeper sister in Guatemala says she was taught a step beyond just figuring it out. We are called to the Fire in Humility. The Element of Fire holds the Alchemy to Change us. Her Elders taught to Visit the Fire of our Pain, not in self-pity, but to See and Receive it as an Operation of Divine Alchemy. Suffering is the Sacred Fire born by Human, through which to Receive Wisdom and Understanding. When we connect it to a Divine Reason, we’ll find it’s Easy to Forgive. In Truth, it’s ALL a Blessing. If we look very closely, we would only take offense because we didn’t honor the differences between us. In a Divine Kingdom of Unconditional Love, we will Only Know Love. Though, Divine Justice must mean Justice for All. 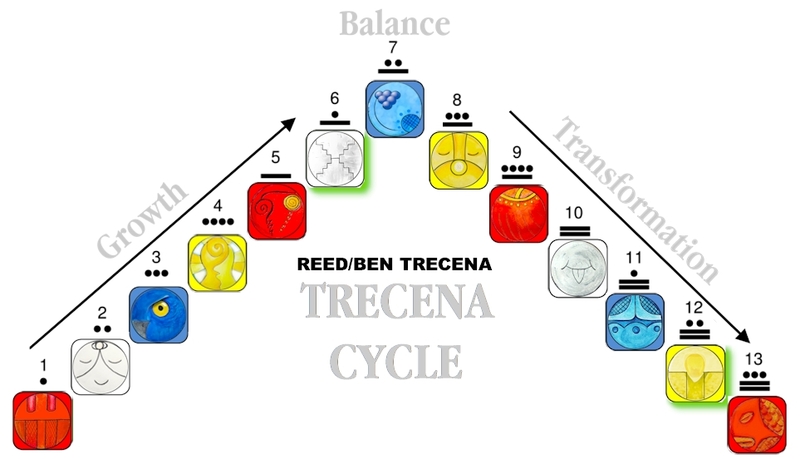 The Reed trecena is showing us how to have Divine Relationships in our family. One of the first rules would be to find the defendant Innocent, when they didn’t know any better. It’s better to find the Guilt in our Self. We failed to see that we were ALL trying to Love. We must inherently KNOW this. Most of us naturally hold a hard-line boundary against evil intentions. That’s the negativity that Deer was given the Power and Authority to push away. If we never carry it out in real life, exposing our own Spirit to thoughts of evil intentions will cause our own suffering. I think most of us do this by Divine Instinct. We all want to make Wise Choices, and we ALL want to treat each other in a Loving way by instinct. There are very few of us unwilling to return a smile, hold a door, or respond to a friendly greeting. Most of us show up with a friendly greeting. We need to assume the best in one another. And when we’re wrong, we need to Forgive. Forgiveness is an act of Human Divinity. The Creator holds Unconditional Love that never sees a fault. Human sees the “fault” and must Choose to Forgive. We all see Divinity in Forgiveness. We see something Higher than Human made the provision. But how do we forgive, when it’s SO HARD by what we perceive as a terrible injustice? The Old Ones know that answer too. The injustice between us is a Human breakdown of a Divine Intention. There’s a failure on both sides. One offended and One took someone else’s suffering personally. We can’t avoid pain, but we can avoid suffering. If we stood on the Truth that we are all TRYING to Love, we’d See the hearts breaking on both sides. We could forgive and forget, Knowing it wasn’t personal. We do so many things with good intention that aren’t good intentions at all. It remains Unknown to us without the Illumination of Consciousness. We can’t have one without the Other, so we must Dedicate our Self to the Wisdom of Forgiveness. Then, we’ll discern Wise Choices. The simple Wisdom the Old Ones is to think before you doing anything. Consider the WISE thing. We can’t stay children forever, so we need to start making our own choices. When we were just learning to walk, we turned to Mom or Dad for the Discernment. Looking to others was a Provision for Children. Now we’re prepared to grasp the moment between the discernment and the response to turn to our own Wisdom and Truth, built from our own Experience, and also the Wisdom shared by Divine Provision. Forgiveness is the Key. We must turn two ways to see both sides for a Discernment of Equality. To stay on the Innocent side of Divine Justice, we must look. We have a whole storehouse of archeological treasures at our disposal. To Grow to Spiritual Maturity, we must take on the Responsibility to look. We can always rely on Forgiveness as a Wise Choice. The Light of Illumination comes through the Spark of Love. When we see the Light of a Spark, Human is drawn to follow. I don’t remember a single meaningful exchange of Forgiveness when “I’m sorry” wasn’t spoken from both sides. When our Spirit experiences Love, Human shape-shifts into Divine Form. Our Divine Form is always on our Knees in Humility. On our Knees in Divine Communion, we remember all the Glorious Truths of Unconditional Love, and Humanity’s attempt at Divinity. When someone falls down, the Wise thing to do is help them back up. The Old Ones tell us the Truth like it is. We may be Innocent before we Know Better, but their Wisdom is for our own good. We’ll continue to impose our injustice on one another, we’ll have more unhappy experiences, until we are aware of the boundaries we are crossing. We were all given the Choice and Authority of our Own Way. The only way to Guarantee our Divine Justice. is an Intention to Pay Attention the Best We Know How. We’ll hold the “Keys” when we remember our Mission is to Open the Door WIDE for ALL. Under the Trecena of Reed/BEN, the mystic ferryman opens a channel to our Ancestors for a Divine Connection. Honor the Divine Spirits that Come to You, especially your own Ancestors. You’ll know them when one of their thoughts drift by that was connected to you. Grasp the Moment of Discernment. If you identify it as a passing thought, it will continue to pass by. If you Acknowledge Your Truth of a Connection, you may begin to establish a Divine Communion. Look for Sparks in coincidences, or any old memories that appear. It’s a Call for Communion among our Shared Archeological Treasures. We were given the Means for a Divine Relationship and a Resource of the Wisdom of Every Experience through our own Wise ONE Within. Spirits Know us ALL as One. To all my relations, may we Wisely Use the Gifts of our Consciousness in an effort of Understanding and Tolerating one another. We aren’t the same, yet we ARE the same as One. We all have many more things in common than our difference, the Greatest Commonality is our Spark of Divinity. May we Love others, so we can fully Love our Self. May we Forgive, to Forgive our Self. May we volunteer our own Guilty verdict… the Guiltier the Better for the Divine Return of Unconditional Love. May we always Serve in Respect of the Power and Authority that every Human is given. May we be grateful for the Consciousness of our Connection to One Another, and for all the Experiences stored up to be a Light for the Future. May we Know that all our Experiences are recorded too, and we were given the Free Will to write a Story of Love that begins from any Place we hold the Wisdom to command the Intention. May we be grateful for a Provision to Experience a Relationship from the Other Side. As thoughts and memories go drifting by, may we reach for the ones that give off Sparks, Moonbeams, and Rainbows. The Dreams of our Ancestors were recorded too. The prettiest ones might inspire the perfect Dream for us. I’m grateful for all the Wisdom of Right Relationship that’s been passed down to Human and grateful to those who stood for a Higher Way. I’m grateful we were created for a Divine Destiny of Seeing ALL the Love we exchanged, that neither side was Conscious enough to Humanly witness the Truth.